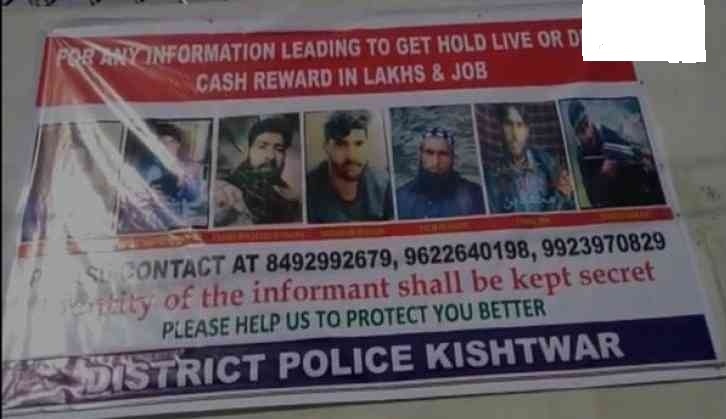 Jammu, March 27: Jammu and Kashmir Police here has released posters of seven active terrorists in the Valley. The police have announced cash rewards and job for the person who will give information about them. 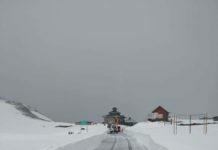 Senior Superintendent of Police (SSP) Kishtwar, Shakti Pathak has assured that police will maintain the secrecy of the person, who shares information in the connection. “So far there are seven active terrorists. 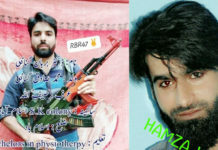 Six are from Hizbul Mujahedeen while one is from Lashkar-e-Taiba (LeT). People should be aware of such terrorists who are wanted. Those who wish to inform us about them can contact us. Informant’s identity will be kept secret,” Pathak said.